GRAND RAPIDS, Mich. -- Mike Devries didn't have to go far to discover his passion for golf-course design. It was right in his backyard. Architect Mike Devries' design work in Michigan has garnered national attention. Growing up in western Michigan, he spent summers working at the famed Crystal Downs Country Club, one of Alister Mackenzie's masterpieces. It didn't take long to find his calling. Devries understudied with Tom Doak and Tom Fazio before embarking on his own career. 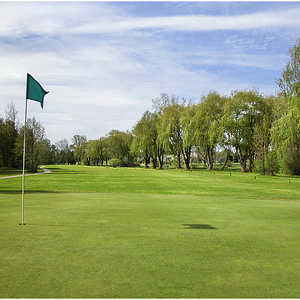 Today his company has five designs and numerous golf course remodeling projects to its credit. The most acclaimed so far is the Kingsley Club, 20 minutes south of Traverse City. "I say Kingsley is a 21st-century version of Crystal Downs, and someday it will contend for a spot on America's 100 Greatest," Golf Digest's Ron Whitten raved. True to his beginnings on Crystal Downs' maintenance staff, Devries is known for his hands-on approach to design; he's more at home at the controls of a bulldozer than a computer. He recently took time out from the heavy machinery to chat with MichiganGolf.com. MichiganGolf.com: When did course architecture go from being simply an interest to a career goal? Mike Devries: I was always interested in design of all kinds, had architects in my family. It was always a strong influence. I had been playing the game with my grandpa since I was 8 or 10, and I was just fortunate to be living next to Crystal Downs. I worked there and played there. That was the biggest influence. By the time I was 10 I was drawing the course. When I was 17 I was raking bunkers and I realized I was doing something more significant than simply raking bunkers, I was a part of something more special. MichiganGolf.com: Who do you look up to in golf design? Modern architects like Doak and Fazio, or the old-school architects? Mike Devries: All of the above. The biggest influence is Mackenzie and Crystal Downs. Today I do consulting for Mackenzie clubs, and that has a big influence. I look up to many of the old-time architects, since I approach design from fairly practical standpoint as a guy who used to be on maintenance staff. Today I'm into the field stuff. I don't do CAD [computer-aided design] and handover sheets. I build stuff, I'm on site, I'm on a 'dozer. I'm reacting to what the land has to offer instead of dictating to land what I want to do. That's what reactionary architecture does - it makes the course feel like it's been there a long time. MichiganGolf.com: What's it like being a consultant to courses designed by an idol of yours? Mike Devries: I'm passionate about what I do, to the point where it's a real responsibility and it's exciting all at once. I feel there's a real need to preserve the work he did. When I work with those clubs, I'm not trying to make it a Mike Devries, I'm trying to keep it an Alister Mackenzie. I guess I'm just obsessed with the whole thing. 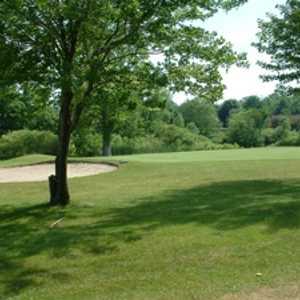 MichiganGolf.com: You designed the Kingsley Club, a private golf club that has opened to much acclaim. The Mines, on the other hand, is a public, bargain course in downtown Grand Rapids. How does a designer approach making a course for its different clientele? Mike Devries: With the Kingsley Club there are some things we do that makes it fairly intimate. From greens to tee, the walks are very minimal. We also do things like sharing tee locations where you criss-cross over with another group. You wouldn't necessary do [that] in public [courses], due to confusion, conflict, etc. As far as playability, we're trying with both to create golf that's continually exciting to play, has fairly wide playing corridors and lots of shot options, not narrow fairways or long rough. It's a general philosophy and I'm going to hold to that. Some think the public course has to be simple. I don't think so. It can be fun and exciting; you don't have to dumb it down. MichiganGolf.com: Are most modern courses being built too difficult or too expensive for the beginning golfer, or the person considering getting into the game? Mike Devries: No one's building a $20 golf course today. That doesn't mean things can be built inexpensively, however. There's a certain amount of glamor to the golf. Everyone thinks it's a rich man's game, but I don't think that's the way it began in Scotland. Everyone could play. I think it can still be that way. It's a big problem if everyone's looking at a green fee that's over $100 for every new project. Look at the Mines. It's $35, it's good golf, they can get out and walk if they want to. That's pretty reasonable for today's entertainment value. If you think about $35 for four hours, that's pretty reasonable, and it's a nice form of exercise. We're building the par-3 course at the Mines [to open in 2007] that will join the existing course. It's going to have everything from 85-yard holes to 220 yards. There will be lots of opportunities to try different shots. I think one of the things that needs to be resolved, not at [the design] level but at the USGA, PGA of America, National Golf Foundation, is they need to find ways to make more of that happen. We need to have a plan to figure that out. For your Scotland trip: Cruden Bay Golf Club, Cruden Bay, Aberdeenshire; Western Gailes, Irvine, Ayrshire; Prestwick Golf Club, Prestwick, Ayrshire; Nairn Golf Club, Nairn, Highlands. 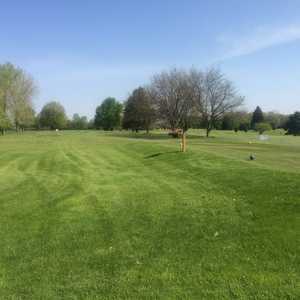 Lawsonia Links, Lawsonia, Wisc. : "A William Langford design from the 1930s, it's within an hour of Whistling Straits and Blackwolf Run, but if I lived in the area I'd play Lawsonia."